Hiring an Experienced Truck Accident Injury Attorney | DeLoach, Hofstra & Cavonis, P.A. Why do I need an injury attorney with truck accident experience? In the days and weeks after a semi-truck accident, victims are forced to struggle with overwhelming physical and financial demands. They may be coping with extensive injuries, have trouble collecting fair payment from an insurance company, or even have lost a family member in the crash. When it becomes clear that a person needs a legal advisor to get proper compensation, he is then faced with an important decision: which accident attorney should represent him? Crash injury cases are normally complicated, but are even more so when commercial trucks are involved. In order to be fully compensated for your losses, your legal team must have the experience needed to win these types of claims—and the attorney you choose for representation can make or break your case. Trucking regulations. Trucking companies must adhere to federal regulations on the condition and proper operation of their vehicles. Improper maintenance, cost-cutting measures, and failure to properly screen and train drivers can also constitute negligence. Your attorney should be familiar with these laws as well as the penalties for breaking them, in order to negotiate a fair settlement. Commercial insurance companies. Payment for truck accident injuries will usually be made by the trucking company’s insurer. These commercial insurance carriers are paid based on their ability to save the company money, may use underhanded tactics to deny or underpay claims. Your lawyer must know how to negotiate with commercial insurance companies and handle a claim against a powerful defendant. Loading requirements. In some cases, accidents may be caused by cargo loaded by a truck driver and hauled in the semi, or another party may have loaded the trailer. A truck loaded beyond capacity or not loaded securely could make the rig unbalanced, causing cargo to spill into the road where it strikes a car. A lawyer's full understanding of loading and commercial transport laws is vital to a truck crash case. Third party claims. Some accidents are caused not by trucking company negligence, but the fault of a product manufacturer, government agency, or other entity. Just as a loading company may share fault for causing a crash, the maker of defective tires or brakes, or a city government that didn't address dangerous road conditions, may be held liable for an accident. Hours of service requirements. 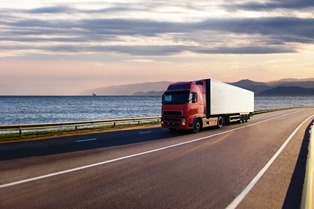 Truck driver fatigue is a major cause of Florida trucking accidents. Although there are strict regulations on the length of time a driver can spend behind the wheel, truckers and their employers often disregard them, in order to make more deliveries. Your attorney should make a full investigation into the trucker’s driving logs, driving history, and company policies regarding mandatory breaks and non-driving time. Crash scene investigation. Trucking companies and their insurers gather evidence and investigate the scene immediately after a crash. They have procedures in place to reduce their liability and limit the financial recovery of people injured in the crash, and get started before the victims have even left the hospital. Your attorney must immediately conduct a crash scene investigation on your behalf, this includes requesting any evidence collected by the opposition, and issue a spoliation letter to preserve evidence. Proving the extent of your injuries. A collision with a semi-truck is more likely to cause severe injuries than with another passenger car. Your attorney should be able to accurately total the amount of damages you are owed, including your past medical bills, damage to your vehicle, lost income, future medical or disability costs, and a fair amount for the pain and suffering you have endured. If you've lost a loved one, your attorney should build a strong claim to recover compensation for the family’s loss and to punish the trucking company for any wrongdoing that led to an untimely death. From collecting evidence to filing your claim, we have the legal experience it takes to get you fair compensation for your truck accident case. Our attorneys can take over the fight on your behalf and will advise you of all of your legal options while you focus on your recovery. Simply fill out the form on this page today to make an appointment in our offices.